It sounds like a scene out of a science fiction movie: a world where beams of light restore heartbeats back to normal, where lasers create realistic holograms in the shape of a telephone caller, and where lighting produces food without sunlight. But this is in fact real life, just not as we know it - yet. These are all inventions currently being researched, due to soon move out of the realms of fantasy and into everyday life. Scientists plan to introduce light-based treatment for people suffering from potentially fatal arrhythmias – an irregular heartbeat that can cause cardiac death within minutes. Treating a patient undergoing cardiac arrest with light would allow doctors to restore the normal functioning of the heart in a safe and painless manner. Today’s defibrillators deliver painful pulses of electricity and can damage heart tissue. The concept is derived from optogenetics, which combines molecular biology with light stimulation to manipulate the messages that neurons send to each other. Tests have so far successfully been carried out on animals and on computer models of a human heart. The technique now needs to be fine-tuned before it is introduced on humans. Doctors may use lasers to perform delicate brain operations. Doctors already use lasers for procedures such as burning away a tumor formed within the skull. Now neurosurgeons hope that laser light can be used to trigger chemical reactions in brain tissue, helping control certain mental disorders. Brain lasers are also being tested to treat epilepsy, with surgeons guiding the laser to use controlled heat to remove the spot in the brain where seizures are thought to originate. 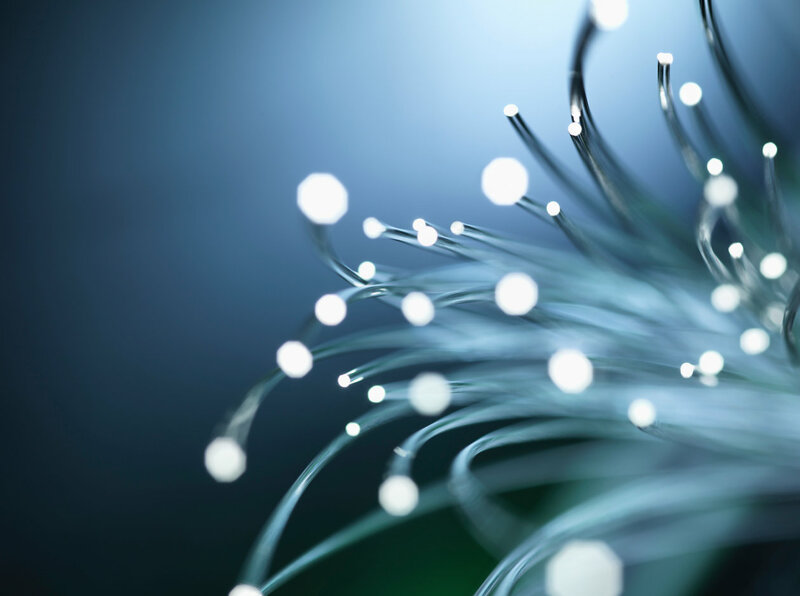 Li-Fi, a light-based communication technology, could become the next Wi-Fi. For a start, it’s 100 times faster. And because light can’t pass through walls, Li-Fi is also more secure and results in less interference. The technology makes use of light waves, or visible light communication technology, instead of radio technology to communicate data. Professor Harald Haas from the University of Edinburgh invented Li-Fi in 2011, when he discovered that flicking a single LED light on and off at extreme speeds could transmit more data than a cellular tower. Lasers might be used to meet our future energy needs. The idea is that solar-powered satellites will be rocketed into a special orbital position where they will gather energy from sunlight. The energy will power a large laser that will direct a beam back to Earth, where a receiver will collect the beam and then convert it into electricity. A sufficient number of these satellites could cater for a large amount of our energy requirements. Remember when that image of Princess Leia floated into view in the original 1977 Star Wars film? Imagine sitting at home and a Stars Wars-style 3D hologram image of your loved one appears when they call you on the phone? Experts believe that we are close to introducing real holograms, thanks to advances using plasma lasers, allowing light to be viewed without having to bounce it off a surface. Food needs sunlight to grow, right? Not necessarily. Vertical farms are the latest urban development producing leafier greens in less space with less environmental damage than traditional farms, powered by special LED lighting. 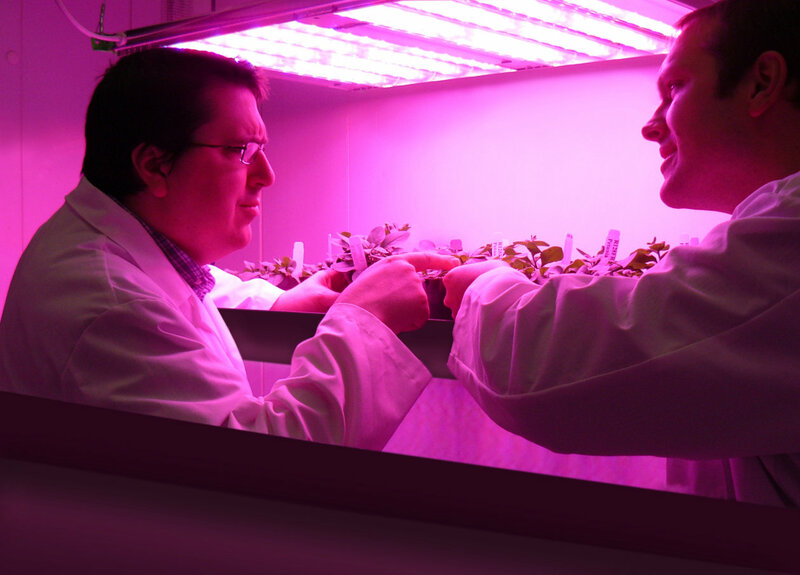 Horticulture lighting fixtures, such as Osram’s Oslon SSL 660 nm and SSL 450 nm LEDs, efficiently grow fresh produce year-round, avoiding dents in food production brought by seasonal highs and lows and extreme weather patterns, such as droughts and floods. Plants convert the specific wavelengths of the lighting into chemical energy as part of the photosynthesis process. Keep a close eye on your health using medical measurement methods that can be integrated into watches, smartphones or fitness bracelets. Optical sensors allow you to observe your heart rate, pulse rate and even the oxygen saturation of your blood when out running, exercising or going about your daily life. Sensor products, for instance Osram Opto Semiconductors, use high-efficiency chip technology to provide extremely reliable measurements. Organic light-emitting diode technology (OLED) is increasingly being used in displays for smartphones. Experts are already talking about smartphone models featuring bendable screens, or even ones that fold in half. The advanced display technology allows for thinner display and brighter colors, which are less draining on the battery than current phone displays.